Our Lady of Grace, full color. 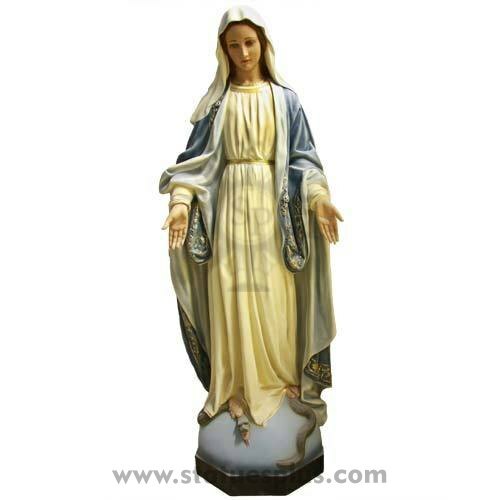 This is a new Our Lady of Grace statue. The price is for the statue in a polychrome finish. It is also available in stone and other finishes for exterior (priced at $1500.00). We will match any competitor's price on this statue and give you discounted shipping.